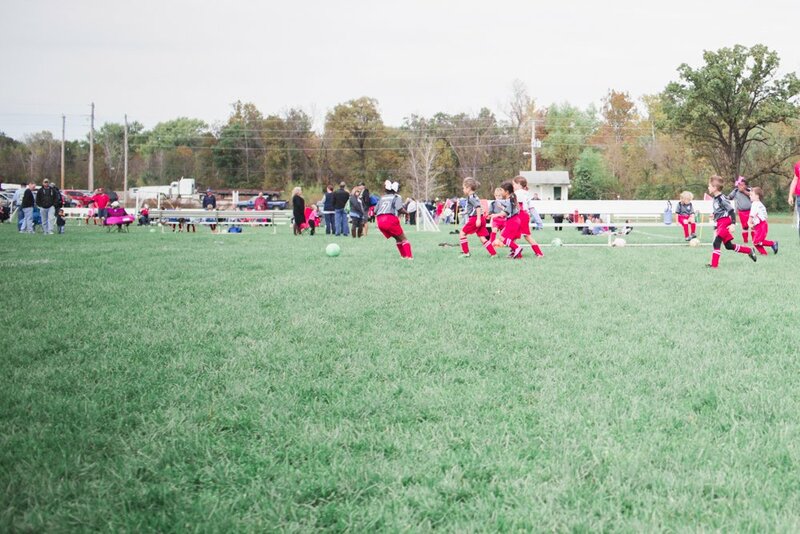 If you are a mom thinking about putting your toddler or child into soccer (or any sport for that matter), I’m sharing with you some soccer mom tips and tricks I’ve learned in the last three years that have helped me along the way. Can I just firstly say that I never thought that I would ever become a soccer mom? This is a whole new world. You don’t really understand it until you are immersed into this new reality. In high school, I was definitely not an athlete. I didn’t play any sports. To be honest, I was a wannabe mathlete. However, destiny had other plans for me – I would become the mother of athletes instead. I’m taking that role in stride! 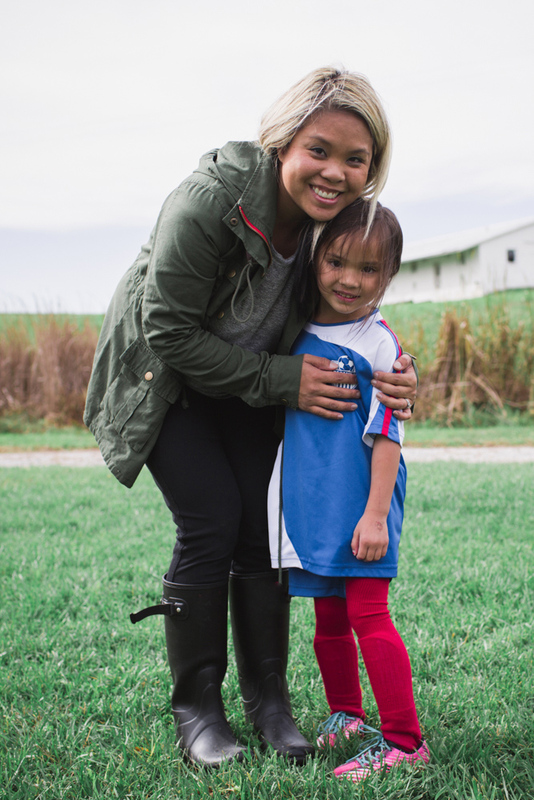 If you are planning on venturing into this world as a soccer parent, I’m here to share with some tips, tricks and “mom realizations” to initiate you into this sorority. Find your tribe. On the team, find at least one parent you can trust. I promise you that this will not be hard. This crew of parents will be ones that will be cheering your child on at the sidelines along with you! They’ll be the ones that can help you take your kiddo back and forth from practice after a last minute change in schedule. As an added bonus, they are the ones you share shopping secrets with about the newest shops and deals around town. Invest in a good chair. If your soccer complex doesn’t have seating (which most don’t), you’ll need to bring a lawn chair. Here’s my tip: get one that folds into a carrying case. Yes, believe me, they exist. And they are worth every penny. Also, making sure the seats have two cup holders (one for your keys, the other for your drinks) would be an added bonus. Along with a good chair, bring along a blanket (with moisture protection underneath) for those that want to sit! Know what to wear. Okay, the stereotypical mom has a baseball cap, ginormous sunglasses and athleisure wear. My hand is raised – I am part of that group. However, a big must is comfortable shoes! As a mom that will be always on the go to practices and games, you are going to need to make sure that your feet are comfy. Trust me, there will be a lot of walking to different fields, long stretches of standing and cheering, and most importantly, chasing your other kids around as they get impatient with their older sibling’s practice. 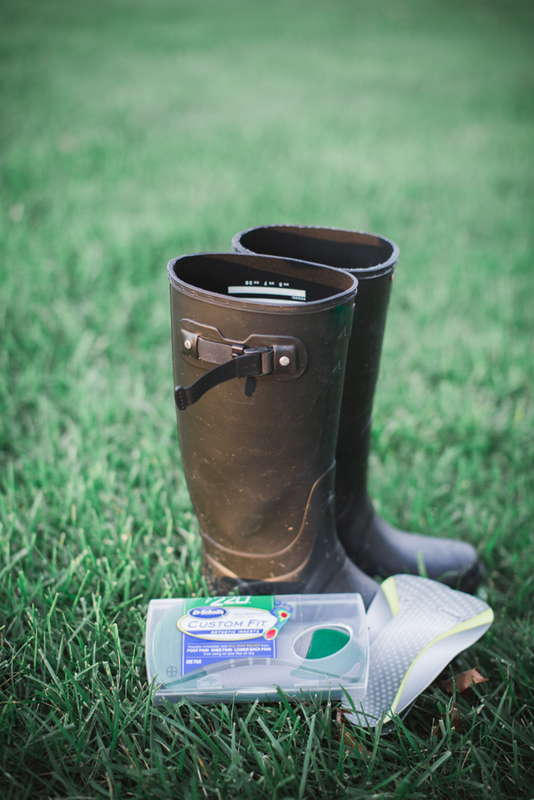 You also want to invest in rain boots! If your soccer organization is anything like ours, they play even when the ground is a bit soggy. During the fall and early spring, your tennis shoes can get pretty gnarly. 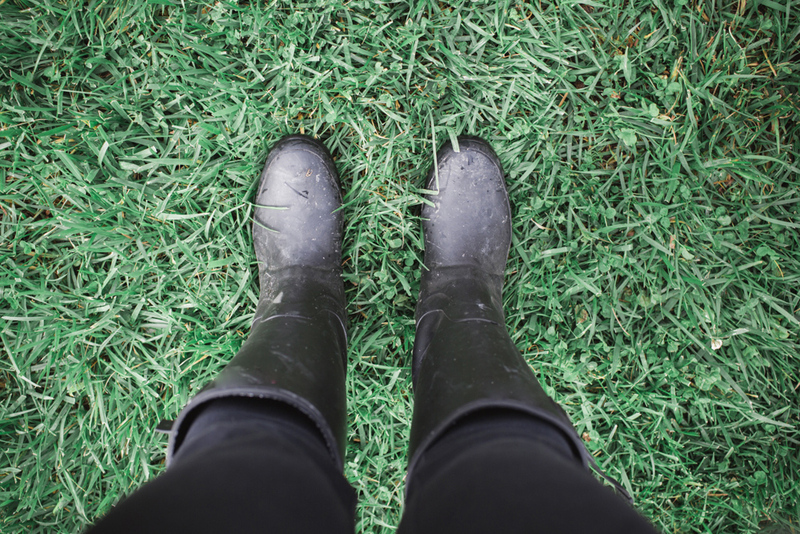 Investing in some rain boots is a must too! I know rain boots can be kind of uncomfortable for long periods of time. 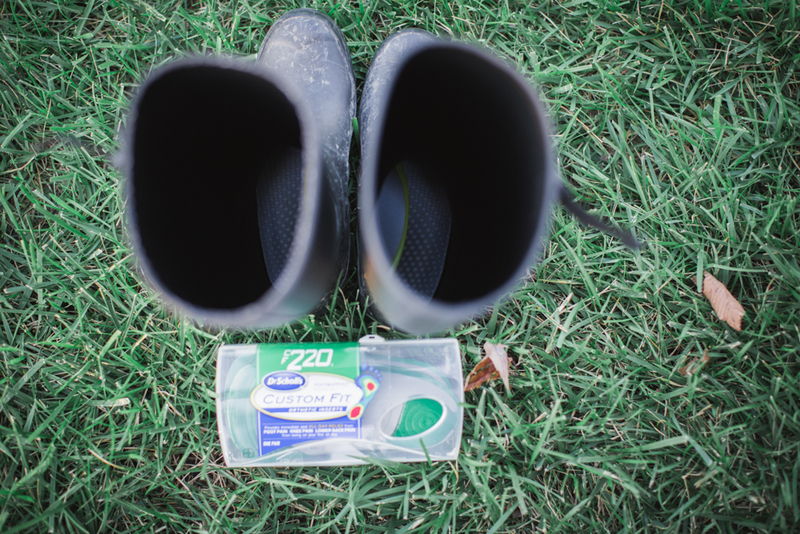 I have a secret weapon for them – Dr. Scholl’s® Custom Fit® Orthotics. They provide all day relief of foot, knee and lower back pain from my all-game cheering! 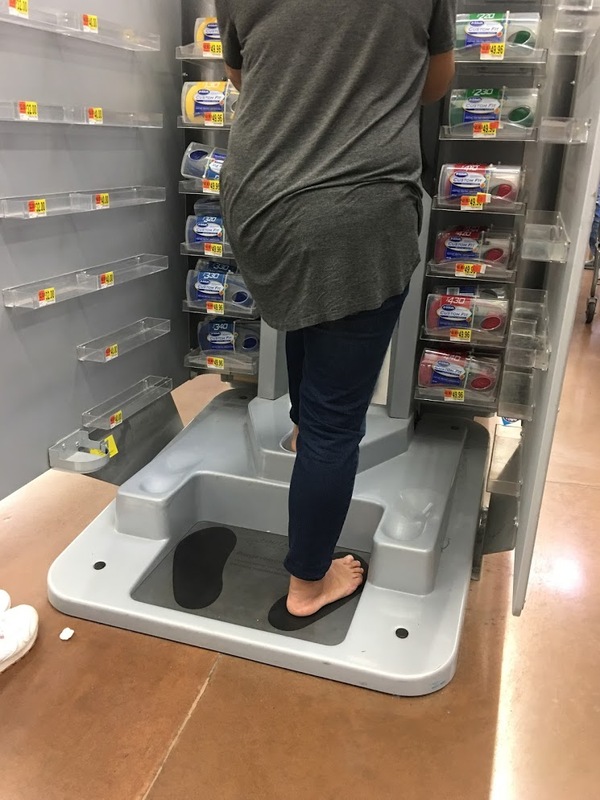 You can find your own Dr. Scholl’s® Custom Fit® orthotics at Walmart. 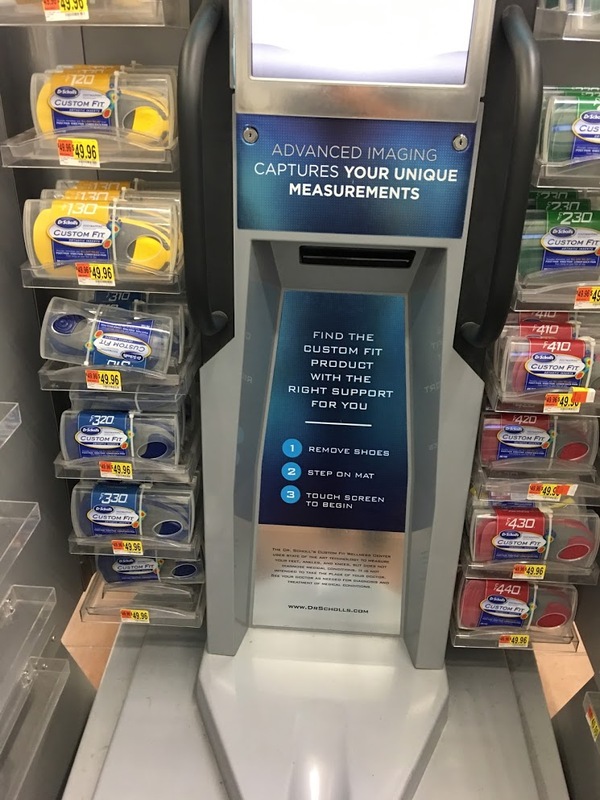 Walmart has a Custom Fit® kiosk that uses pressure sensors to create a Custom Footmap® with Dr. Scholl’s® advanced FootMapping® technology. 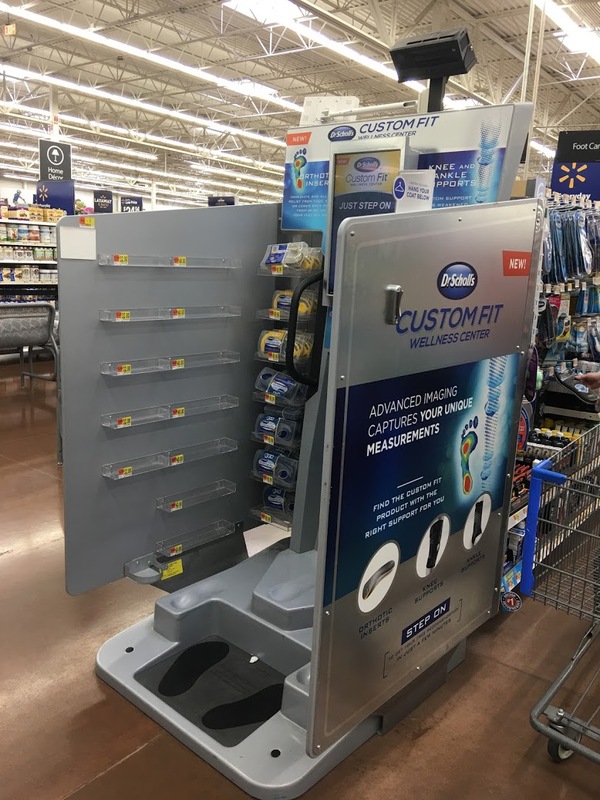 The Custom Fit® kiosk is so easy to use. After stepping on the kiosk, the monitor will ask a few questions. Based on the questions, it identifies your arch type, foot length and unique pressure points. 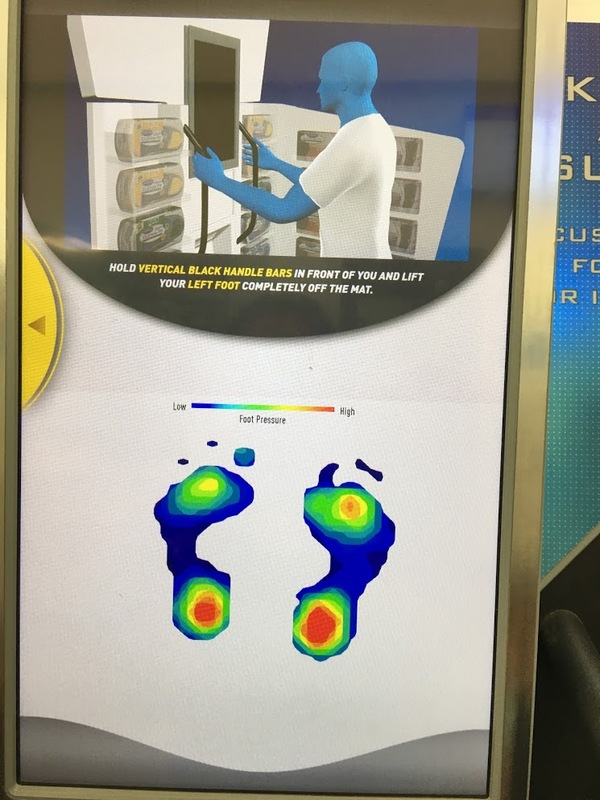 In around 2 minutes, the kiosk evaluates all this data and recommends the Dr. Scholl’s® Custom Fit® Orthotics that are right for you! You can try Custom Fit® Orthotics risk-free, with the Dr. Scholl’s® Money Back Guarantee and get a $10 savings after purchase. I love the ones I got because not only can they fit in my rain boots, but they can also fit in my flats that I wear to work. My walk into work from where I park is about a full ten minute walk, so these orthotics definitely come in handy. In addition, as a family and wedding photographer on the weekends, you can bet I’m putting miles on during those events. 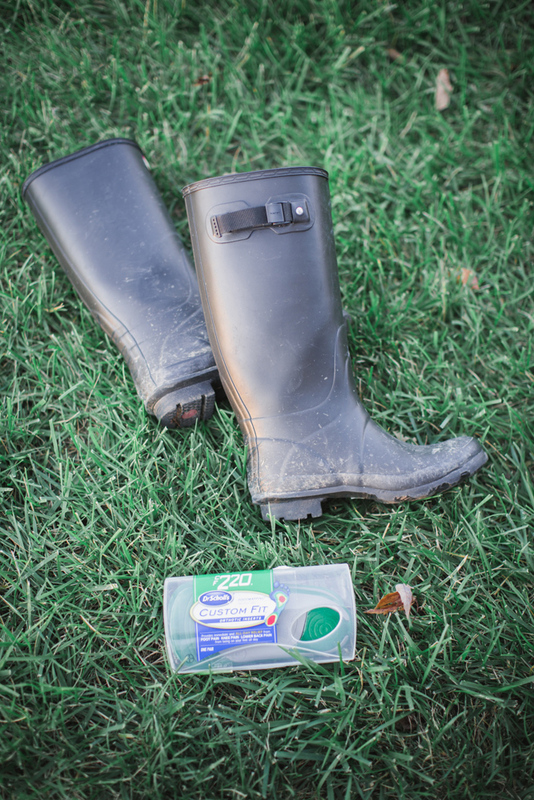 I can’t recommend Dr. Scholl’s® Custom Fit® Orthotics enough! Snacks and drinks. If you have a new coach, sometimes they forget to start the game snack schedule. Be an awesome sideline parent by helping your coach get this schedule filled while they are showing your kids new footskills. For some kids, these snacks and drinks are sometimes the only reason why the play soccer (kidding, of course). Seriously, little soccer athletes get hungry – they can also get HANGRY. It’s scary when this happens, but very preventable with a snack schedule. Protein bars, organic fruits, fruit snacks – most kids love it all. Storing their gear. If your children are playing multiple sports during the same season, your mudroom and front door can get out of control unless you plan for it. My tip: find a basket or any organizer that they can throw all their gear in for that specific sport. For example, I have one for soccer, dance and scouting. They know that as soon as they get back from that particular sport, all their gear for that specific sport belongs in that specific organizer. There should be no rushing around trying to find something for anything before and after! 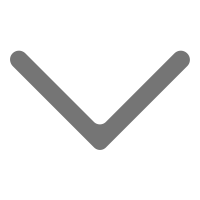 App to Keep Score. For some of the younger kids, their games may not keep score. But, if you are anything like me, you are keeping tabs always. Get an app to keep score so that when they do win, you can have a little team side victory by showing them the app and posting a screenshot on the team’s Facebook group! I hope this survival guide helps you navigate this amazing world of soccer. Are you already a soccer mom or plan to be one? How do you keep comfortable on the sidelines? Share your story below!